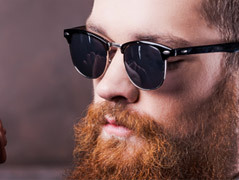 Eye glasses and sunglasses direct from online shop - VogueSpex UK. Your Choice Your Vision is the motto behind VogueSpex (www.voguespex.co.uk). The concept derives from the idea of self representation in todays cosmopolitan world. No one would disagree that a vast majority of us are following the fashion trends even though in a few years time looking back it would raise some smiles on our faces of the past ridiculous looks we have had. But this is how the classics are created and some fashion trends are there to last forever. 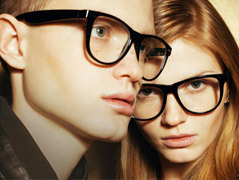 The choice is yours, go safe and opt for a classic or be visionary and represent a fashion trend. How to choose frames for your baby's glasses! The secret of glasses longevity!